I was recently in Ohio for a family event. At this event, my father and his friends began sharing stories of their childhood. Everyone shared stories of their days of triumph on the sporting fields in their small Midwest town. As the event progressed, it evolved into a full on discussion about youth sports coaching that spanned 3 or 4 generations of athletes. Each person was giving their experience, perspective, and evaluation of what it was like to play sports in their generation. I began to notice a very surprising phenomenon. 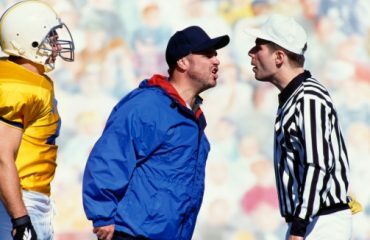 In all these stories about sports, there were common threads, such as bitterness about the abusive coach who caused damage to his players and frustration with the overzealous parent who would cause a humorous disaster (or at least humorous 30 years later). Most tell, though, was the lack of clarity regarding scores and outcomes but very clear details about the memories made. I was struck by the lack of change. It didn’t matter if the story was from 1917 or 2017. The same issues existed back then and now. I could switch out dates and names and those stories I heard are the same stories I hear every week from our readers and on social media. This is a real crisis for a guy who spends his days writing, speaking and trying to shift the paradigm of youth sports. In 2015, I stood on a stage at TEDxCincinnati and called out coaches for how poorly some of us treat our athletes. Was my life’s work simply an exercise in futility? Could things ever change? I think they can. Recently, Changing the Game Project Founder John O’Sullivan and I were discussing a talk I was to give in Midland, Texas. I would be delivering the keynote at an end of season banquet and then would spend the following day training coaches, athletes, and parents. I had a chance to reach the three main parts of the youth sport equation. He suggested I structure the talk around a story told by Amazon CEO Jeff Bezos to set the table for the following day’s workshops. In short, Jeff Bezos once explained he’s always asked the same question: “What will be different in ten years?” He said that is the wrong question to ask. Amazon has been hugely successful because they asked the question “what will be the same in ten years” and set about building their competitive advantage around those constants – low prices, wide variety, and fast delivery. In ten years, things will change too wildly and quickly for companies to adapt to every change in the marketplace, but no one will ever want higher prices, less variety, or slower delivery. If Amazon continued to be the leader in the three areas of constancy, they would still be the market leader regardless of what had changed in the market. In other words, the more the Amazon world would change, the more they would stay the same, and still be the leader. As Bezos said, “In ten years, no matter what has changed, no one is going to tell me they love the variety and the delivery speed but just wish Amazon would raise the prices”. This is a great lesson for us youth sports people. Maybe we need to think about what will never change in youth sports and focus on making those the most important factors in all decisions we make. This sounds crazy for an organization aimed at “Changing the Game” to focus on keeping things the same, but to accomplish our mission of making it the very best experience for our kids, we really need to think about what will never change. Why do athletes play sports? What do athletes need from coaches? Who always attends the events? To prove my point to the room, we had a little fun with sticky notes. I asked them to write on three separate sticky notes answers to each of those questions. One by one we answered the questions as a room. “Don’t be shy. Come on up and place the sticky note.” I said. “I wouldn’t write that!” One athlete yelled. The entire room laughed. In mass, they all came up and slapped their notes on the wall to my right. As I stood there perusing the notes and reading them to the room, I clicked to my next slide. It was a picture of a sticky note with the word “FUN” written on it. Of the 70 or so responses on the wall, 46 of them said “Fun” in them. The others alluded to fun, as defined by children in studies done by researchers like Amanda Visek. Being a good sport, facing a challenge, playing against great competition, making friends, mastering a skill are all defined as fun by kids. My sticky note predicted the answer of every single athlete in the room. We did the same for what athletes need from coaches. This time I included the coaches in the exercise. When we were done placing our answers, there were no sticky notes on the side of the wall that had to do with learning a skill, technical proficiency, or knowledge. Some 70 athletes and a dozen coaches all put notes on the side of the wall that I deemed as “athletes need connection from coaches”. The coaches and swimmers wrote words such as “advisor”, “mentor”, “love”, “empowerment”, and “inspiration”. Not one of the notes talked about needing to learn how to swim. Yes, of course learning a skill is important, but it is not the first thing that comes to mind when you think of a transformational coaching experience. For the final note, I asked the people who went to every swim meet to stand up and I asked the athletes and coaches to thank them. All the parents or guardians in the room stood up to a standing ovation. I pointed out how this, also, will never change. Parents will always be on the other side of the pool, rink, court, or field. No matter what changes in sports, they will always be there and we must embrace, engage and collaborate with them. Since we can say pretty confidently that those three things will not change, shouldn’t we focus building a youth sports experience around these three constants? Isn’t that where we should put our time and money? Children define FUN differently than us. Therefore we must talk to our kids, understand what makes sports fun for them, and do those things. We need to put own the joystick and let them own the experience. Buildresearch-basedd, pedagogically sound programming: We must realize that the structure needs purpose and science behind it, the challenge we provide needs to be developmentally appropriate, and that we can demand excellence without demeaning a child. Include children in the building process too. Let them help develop the team values, take part in halftime adjustments, request favored activities, or choose a training session once in awhile. Empower them and they will rise to the standard you expect of them. Teddy Roosevelt said “they don’t care how much you know until they know how much you care”. If you want them to learn from you, you must be in it for them. Coach the child, not the sport. You will be able to influence them beyond just the game itself and teach them the valuable life lessons and skills needed to succeed in anything if you focus on the individual needs within the team. Connect before you correct. This connection will make it easier for them to respond positively to your feedback (even if it is negative). It will also teach you how to provide effective feedback to each child based on his or her personality. 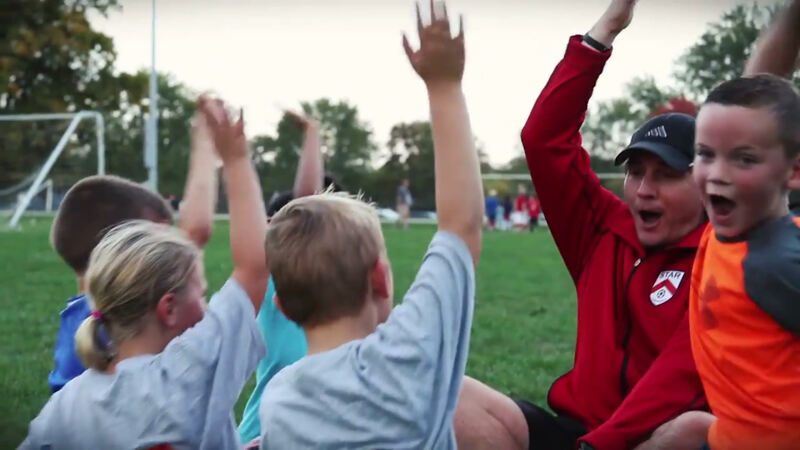 Why do you coach? Get clear on this. Write it down. It will transform how you coach, and in turn, you’ll transform lives. Finally, realize that invitations to weddings, graduations and important life events are a far better indicator of whether you have been a “successful” coach. Engage parents and make them collaborators by communicating often, teaching them what is helpful and what is not, giving them tasks, and asking them to help reinforce team culture and key learning. Most parents are not willing to be left in the dark, treated like second class people, or be excluded. The more we treat them like the “walking dead”, the harder they will claw to get into our little camp. Engage the good ones instead of using the bad ones as an excuse to ignore them all. Set very clear ground rules and codes of conduct but stop treating parents like cancers. Jeff Bezos’ simple, but brilliant, perspective shift has allowed his company to strive, survive, and thrive in a volatile digital world where we’ve seen multitudes of digital retailers and old brick and mortar goliaths erased from existence. Amid all the turmoil and change, Amazon has succeeded by focusing not on volatility, but stability. So must we. Though we must continue the march forward to create a better youth sports experience, and there is much we still must change, we cannot ignore the power of what Amazon discovered. We must pay attention to the constants in the youth sport equation and channel our energy into them. Make sport fun for the kids. Connect with our players as coaches. Include parents in positive ways. In order to survive and thrive in an ever changing world, focus on these constants and watch the magic happen.